Heather Womack began her career at South Beach Tax & Financial Services back in 1997 as one of our office administrators and was soon an indispensable tax preparation aide to the boss. 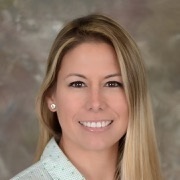 Through her tutelage and her avid research and study, Heather has amassed eighteen years experience and is now one of South Beach’s Enrolled Agents. She is also a Notary Public. When not reading the tax code, she enjoys time with her family.